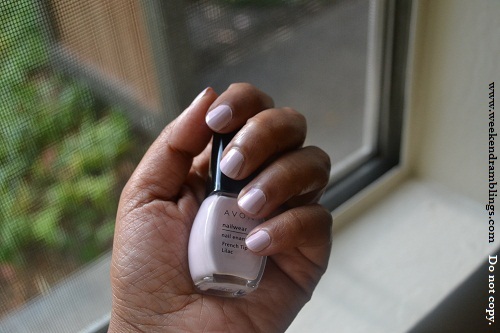 I used the lilac tip colour from the Avon French manicure kit. I would have loved it except that I messed up the polish before it dried and had to reapply - it's my sister's fault - she was talking to me all the while :P :P Seriously though, I do the messiest nail polish applications, then sit with Q-tips and nail polish remover to clean up the edges. Do you have any must-do rules to get it reasonably decent looking? Please share - I need a crash course! Use them on your feet, Priya - it's the safest way to use any dhinchaaak colour :D Oh get this one and use like this. It's very nice...I don't think I would master the French technique anyway! Hi Rads...Looks cute on your nails. A small tip - try getting one of those nail polish corrector pens, they're very quick & convenient! Sabrina - Corrector pens? Oh will surely get those..